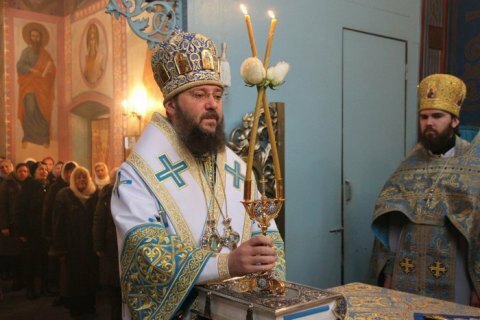 The Ukrainian Orthodox Church of the Moscow Patriarchate (UOC-MP) will not recognize a new Ukrainian Orthodox Church, UOC-MP managing director Metropolitan Antoniy has told the Greek religious news agency Romfea.“Today’s dissenters will become an autocephalous church, there will be attempts to alienate our canonical church from our country. Our church does not recognize this action and will not cooperate with a new church,” he said. He is also confident that the UOC-MP would still have the majority of parishes and believers. “Some will leave, but not many, mostly problematic ones will leave. There will be arguments in Ukrainians’ families again, there will be attacks on our churches, brothers will confront brothers, there will be conflicts,” he predicts. The Ecumenical Patriarchate is preparing to grant autocephaly to a Ukrainian Orthodox Church on the request of state and church authorities, but not the UOC-MP.